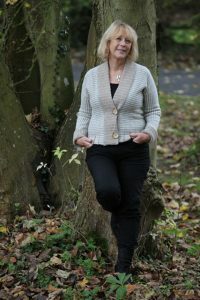 I’m delighted to welcome Jenny Harper to my blog. Today Jenny is chatting about a problem I’ve tackled myself- series writing. I confess to being a very bad series writer. The fact is, I never expected my first novel, Face the Wind and Fly, to turn into a series. But the town of Hailesbank was in my head, and it wouldn’t go away. However, I’ve never drawn a map (except in my head), and I just know that one day my characters are going to meet in a place that has mysteriously shifted along the High Street, or they’re going to be the wrong age, or their eyes will have changed colour… And going back through all the books now to log everything would be such a lot of work! I can’t resist sending my characters off to meet in the Spanish tapas bar, Besalú, or watching them walk in the Memorial Park, or drop in at the Duke of Atholl for a pint or two (but heck – where is it again?). 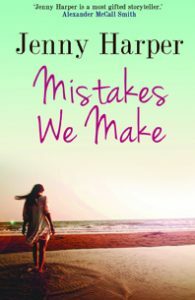 In my latest novel, Mistakes We Make, I’ve been more daring than merely setting the books in the same town – it’s the first book in my Heartlands series that actually takes a character from a previous novel (People We Love) and moves her story forward. I loved writing this! It was a great feeling to know that Molly and her friend Lexie (who went through the mill in the earlier novel) had a future – and to uncover the mysteries left hanging about Molly’s past. Molly Keir’s answer is to run away. Well, it’s not exactly running away because she is given the chance of a lifetime – a partnership in a glamorous marketing agency in London – but she soon finds it isn’t the right answer either. She misses her friends and family, and when her brother gets into trouble, she’s not there to give him her support. Adam Blair, her husband (they are still married at the start of the book), is sleepwalking through life. He has lost his wife and he’s in a job he hates. He became a lawyer to please his father, but he’d much rather be out walking on the hills. When everything collapses around him, he has some difficult decisions to make too. And then there’s Caitlyn Murray. I really enjoyed writing about Caitlyn, who stars in the sub-plot, Caitlyn Murray. Caitlyn lives with her unlucky-in-love mother and four step siblings, and she’s a warm, loving, salt-of-the-earth girl who has to find her own way through the huge problems that beset her, while trying to work out what it is that she really wants from life. Her story, obviously, intertwines with Molly’s in an unexpected way, but in the end, she’s her own woman. So – will I write another book in the Heartlands series? Almost certainly! And will I learn from the past and get organised? Shh … don’t tell anyone … but I’ll probably muddle along again. But next time I decide to write a series, it will all be different! Many thanks again Jenny- great blog. I’m writing a series too, and can wryly agree with all the points you raise. But again, I can’t see any other way to do it, so I keep going. Best of luck!